Where are we in the Digital Revolution? We think we’re so advanced, but what if we have only just begun? We think we’re so advanced but whole societies appear lost, not knowing how to restart low economic growth, solve inequality, or stop the decline of the middle class. As the world turns high-tech, we don’t know how to build a Digital Earth that works for everyone — but we will soon. Can we accelerate that know-how into today, to fix our problems? Today will look primitive and obsolete when our our digital ox carts are turned into pocket rockets. The next stage is a continuous Digital Earth that delivers Personal Greatness, and starts Universal Prosperity everywhere. We think we’re so advanced, so scientific and so quantitative. We measure, analyze and know so much. What if we’re only digital babies, just learning to stand and take our first steps? What if we don’t realize how quickly we could build and deliver a successful Digital Earth? You’d think we would see this. Millions in societies worldwide, even whole societies, appear lost in a maze. We don’t know how we, as individuals or as nations, can build the powerful and successful future we want. We careen from one crisis into another, failing to solve most of them fully as we rush head-long into perilous decades ahead. At times, each society seems rocked by massive frustrations and dissatisfactions. For millions in the middle class and elsewhere around the world, resignation is replacing hope for the future. We need a better way. To find it, let’s take a look back and see how others succeeded. Does history hide a better way to see our future, a more effective way to accelerate our forward progress? History’s parallels give us perspective. One of the best is the biggest intellectual revolution in history. This started with Johannes Gutenberg’s invention of the movable type printing press about 1439 in Strasbourg, Germany. 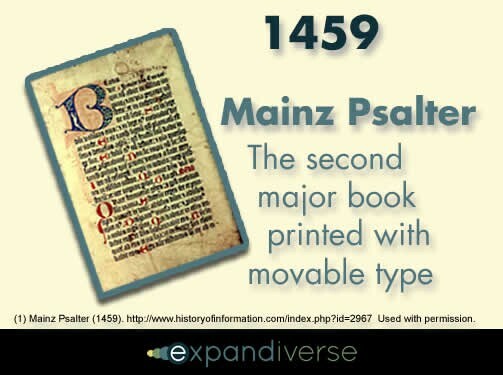 One of the first books ever printed with movable type was the Mainz Psalter, in 1459. The most obvious and important part of this book is it doesn’t look like what we call a book. It looks more like the handwritten books that were copied by hand, one by one, before the printing press was invented. In fact, the printer of the Mainz Psalter was careful to copy the handwriting mannerisms that were expected by readers in that generation. A decade later, books incorporated a style with a two-column layout printed in a regular, standardized font. The design of the letter forms and the lack of paragraphs still resembled handwritten books, however. 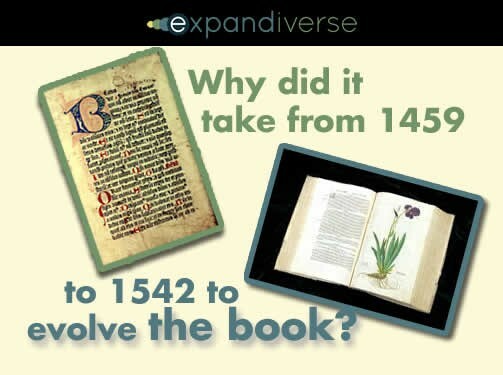 A second generation, by 1490, started printing books for specialized audiences. 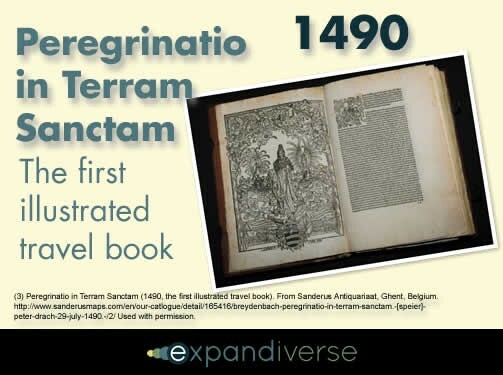 This is the first illustrated travel book, the famous Peregrinatio in Terram Sanctam. In fact, by the year 1500 over 200 European cities had printers, and some books had quite varied features and styles. Let’s consider another generation later, in 1517. In this period, Bibles were one of the most popular books printed and sold, and one of the most familiar books read. The Polyglot Bible was one that showed how printers mastered fonts, languages, layouts, columns, titles, liner notes and many other advances in book design and manufacturing. By 1520 through 1540, almost a century after Gutenberg’s invention, the types of books we know and enjoy today had become standard. 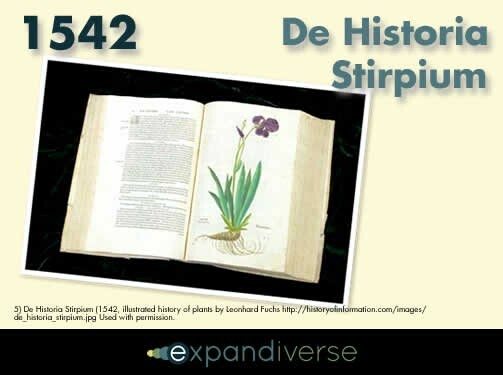 An example is the 1542 publication of De Historia Stirpium the remarkable illustrated history of plants by Leonhard Fuchs, a German botanist and physician. The book itself, and its anatomically accurate illustrations, look like what we would recognize as a book today. What you might not know is that Gutenberg and that first generation of inventors had very little to do with creating what we call the book. Measuring our future: Where are we? How well are we doing? When history looks back on our generation today, where will we be in the digital revolution? 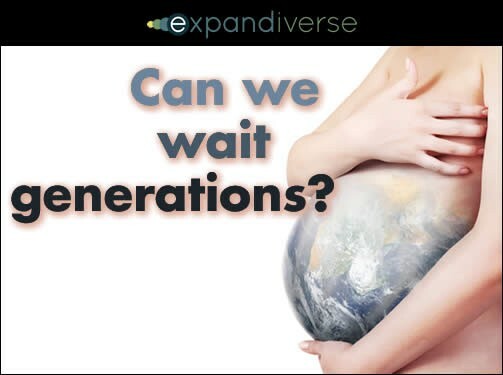 Shouldn’t we be placed near the end of the first generation and the start of the second? We’re only about thirty years since the introduction of the PC, about twenty years after the start of the mass-market Internet, and about fifteen years after the take-up of cell phones. We’re just getting through the first decade of GPS location, smart phones, social networking, mobile applications, two-way mobile media, and much more that we think is so advanced. Our digital version of the printing press is still being figured out. 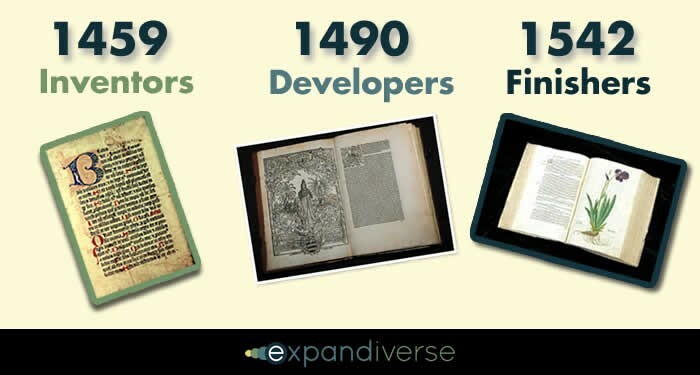 As we keep inventing, our innovations show we’re Gutenberg’s equivalents. With millions of new apps, we’re spinning outward in multiple disconnected spirals. There’s invention everywhere, without a “finished book” in sight. We’re in the Inventors’ generation. We may think we’re already there, but we’re still opening new doors. We’re just adding 3D printing, and don’t even know all the kinds of digital printing presses there are. The next step — and the next generation — will be the Developers, our children who will take our tens of thousands of inventions and transform them from puzzle pieces into a picture that connects and works together. Then they’ll be followed by a third generation, the Finishers. Our grandchildren will make tomorrow’s world continuous, connected and whole. We’ll look primitive and obsolete as they turn our ox carts into race cars. They’ll transform our thousands of separate on/off connections into a continuous digital world that recognizes us, follows us and serves us. They’ll write more than a digital book. They will build our digital Earth, and bring it into view for the first time. So where are we today, and how far can we go now? According to history, we won’t live to see or enjoy the digital world we’ve started. Based on the history of the book, we’re only the first generation. We Gutenbergs will be dead and buried before we know what our digital world will be. The ‘Finishers’ will be our grandchildren. It will take about 60 to 80 years more before they will have our Digital Earth assembled and working. But today there is another way forward so we can accelerate and become the ‘Finishers’ generation in the timeline. 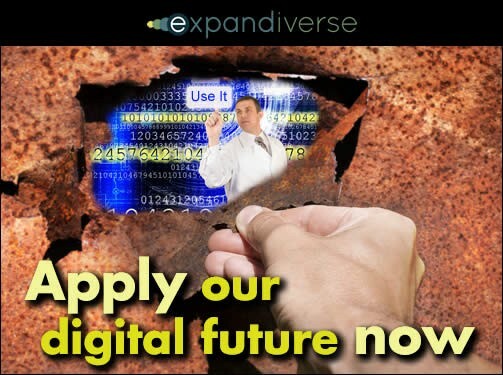 Years of private development have been done to leap ahead to tomorrow’s digital world: The Expandiverse. New technology to build tomorrow’s digital world today. Where is our Digital Revolution going? When will we arrive? We could jump aboard this fourth dimension architecture and time travel into tomorrow’s more powerful world. We could see our future, decide the parts we want and accelerate them into today. When we know the Expandiverse destination and how to build it, we need only an irresistible reason to leap ahead. Mainz Psalter (1459). http://www.historyofinformation.com/index.php?id=2967 Used with permission. Peregrinatio in Terram Sanctam (1490, the first illustrated travel book). From Sanderus Antiquariaat, Ghent, Belgium. http://www.sanderusmaps.com/en/our-catalogue/detail/165416/breydenbach-peregrinatio-in-terram-sanctam.-[speier]- peter-drach-29-july-1490.-/2/ Used with permission. 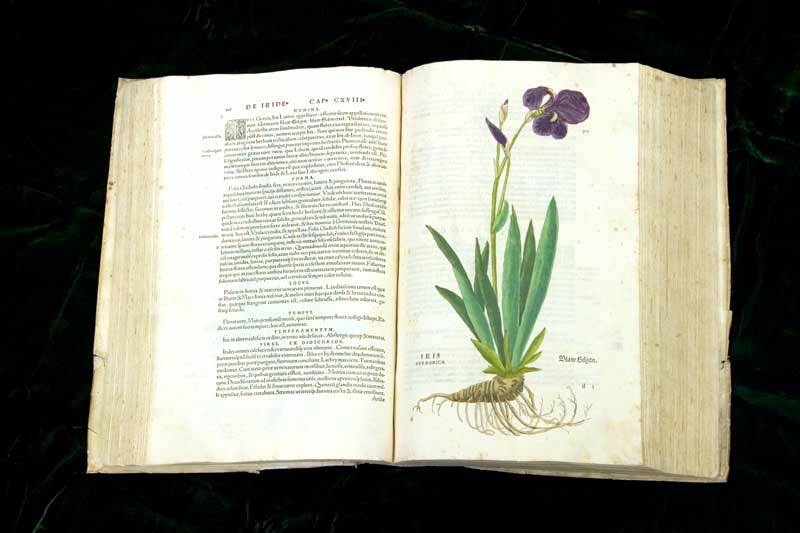 De Historia Stirpium (1542, illustrated history of plants by Leonhard Fuchs http://historyofinformation.com/images/de_historia_stirpium.jpg Used with permission.